After a virus turns humans into feral animals, it falls to earth’s last two children to find the cure . . . When all of civilization begins turning into animals, only two people remain--young siblings Ava and Flynn. On a desperate search for their mother and safety, they’ll traverse a wild and unruly landscape, make friends and foes of all species, and discover what really makes them human. 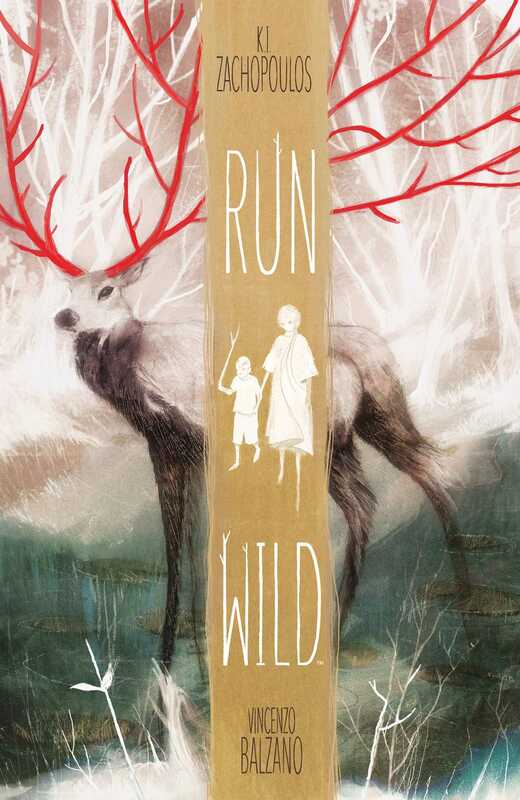 Run Wild reunites storytellers K.I. Zachopoulos and Vincenzo Balzano, the visionary creators of The Cloud, as they explore the incredible lengths people will go to realize their dreams.